1. Always use rinse aid. For drying performance, liquid rinse aid is better than tablets. 2. Select the Dry+ option. This option extends the drying portion of the cycle and raises the temperature inside of the dishwasher. 3. Add as many dishes as possible, without overfilling. 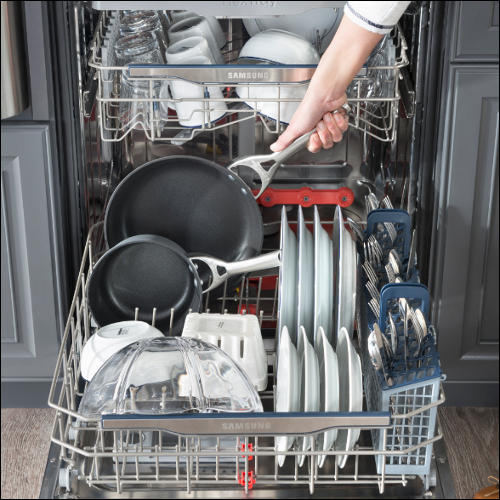 As heat radiates from dishes in the dishwasher, it helps dry the dishes around them. TIP: Leaving the door cracked open after each cycle will help air out the dishwasher, preventing odor and helping residual moisture evaporate. Why Doesn't The WaterWall™ Dishwasher Start Immediately? Why Is Rinse Refill Is Displayed Or Illuminated? 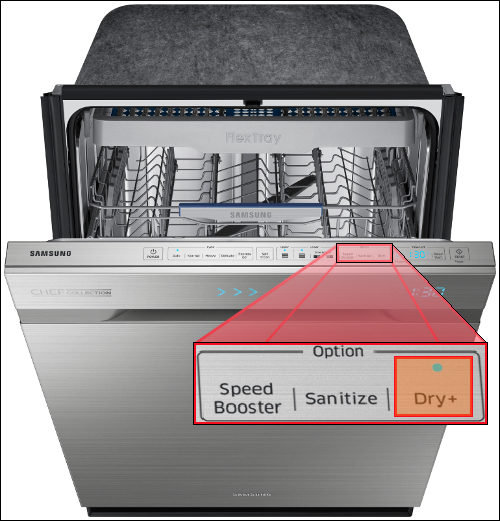 What Does The 1E or OE On The Display Of The WaterWall™ Dishwasher Mean?